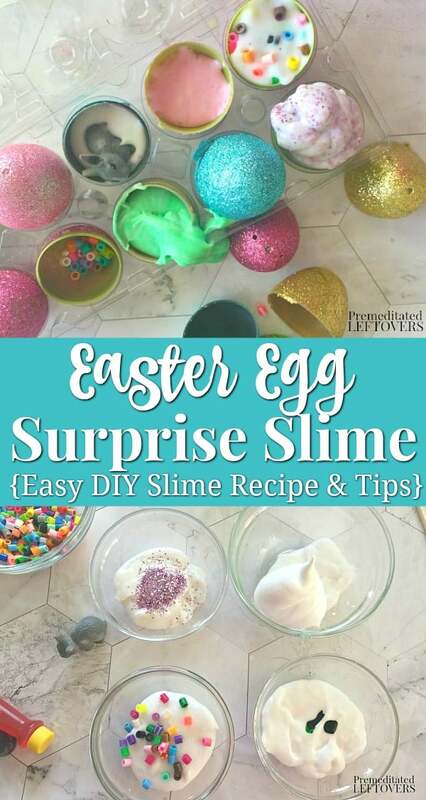 This Easter Egg Surprise Slime is a great way to turn slime into an Easter-themed activity that will keep them busy for hours. 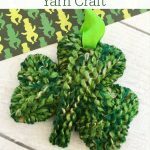 I am always looking for fresh ways to make slime new and exciting ( although truth be told my kids just love slime!). 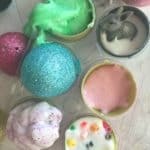 Egg Surprise Slime starts with my favorite basic slime recipe and then from there the possibilities for changing it up are endless. 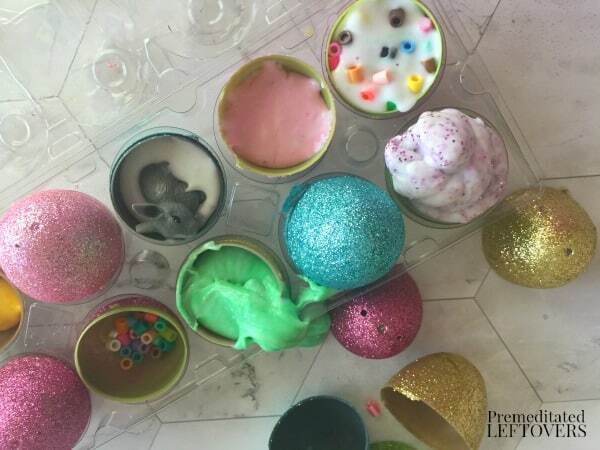 Take the slime base and add in fun colors, glitter, small erasers or plastic toys, beads, and much more to make it so that each egg contains a new surprise. I will give you more ideas for filling your slime Easter eggs later on. 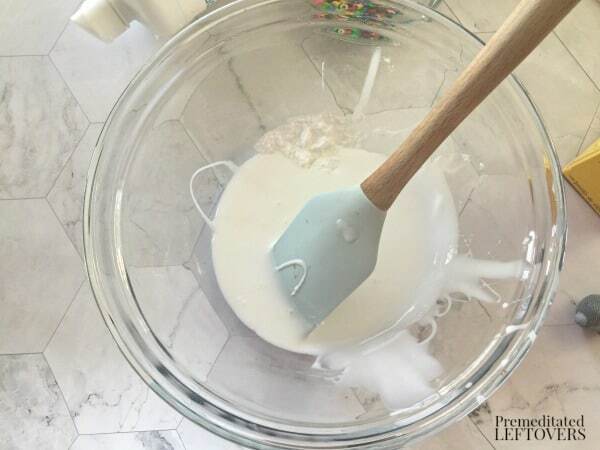 In a large bowl mix together school glue, water and baking soda until well combined. Stir in saline solution slowly, a teaspoon at a time and stir it well with each addition, test it out, you want it to not be sticky but not too tough that it loses its wonderful stretch. 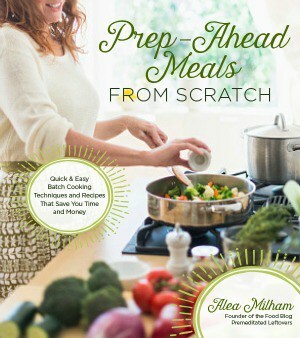 Keep adding until it feels good but be careful to not overdo it. 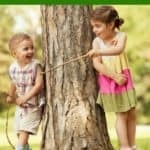 This is your basic slime, from here you can turn it into so many fun surprises for the kids to discover! Next, add the bottom half of your plastic eggs to an egg carton, plastic works great but the foam one will work well as well. Here is where we will hide the surprises. If your eggs have holes you will want to fill them with something like a dab of hot glue or add school glue and allow to dry so that it doesn't leak out. 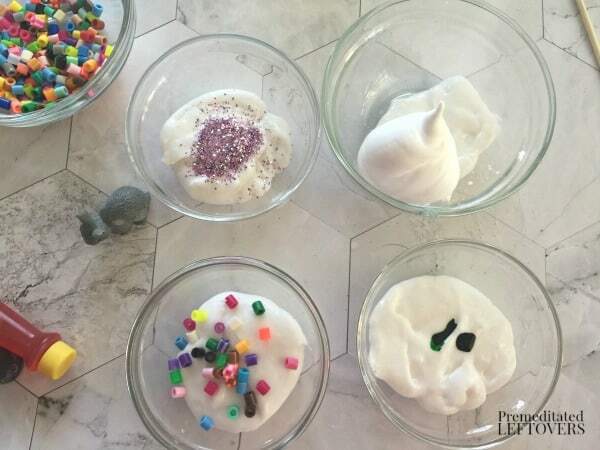 Then divide up the slime base into as many bowls as types of slime you want to make and add a little of whatever mix in you wish to add, for standard size eggs 1-2 tablespoons of the base is plenty! 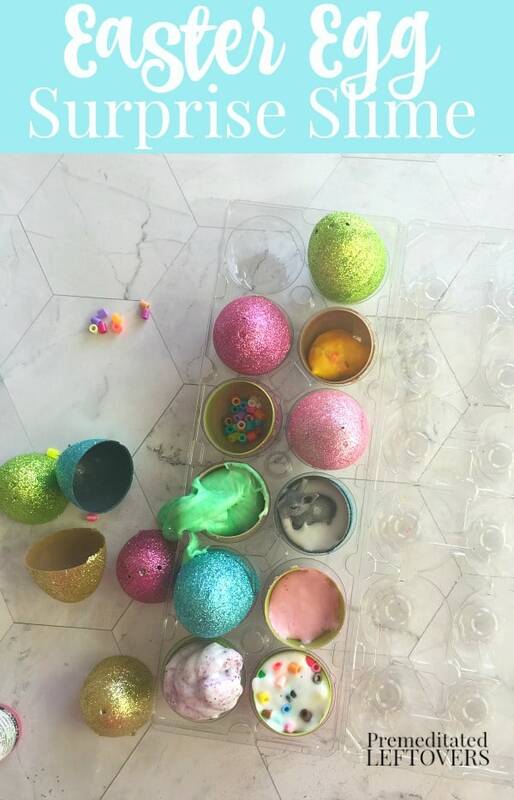 Add your slime to the various eggs, replace the cap and set it out for your child to explore. 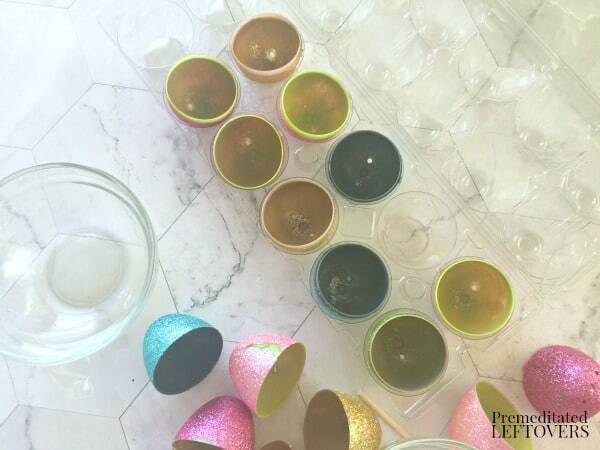 You can also leave some plain and put the fill-ins inside an empty egg for your child to create their own versions.